US Fish & Wildlife Service reply: What’s good, what’s not, what’s next? The US Fish & Wildlife Service has responded to the Citizens’ Statement of Support for Jaguar Recovery in the United States. The statement has already garnered over 350 direct endorsements from residents and visitors to the U.S. Southwest (plus more than 500 sign-ons to an online petition). It was presented to the Service on Earth Day, April 22, 2010, at a jaguar rally in Phoenix. * Create a bi-national recovery team for the jaguar, consisting of scientists and “implementation partners.” This agrees with Citizens’ Statement Point #4, that is, to work with Mexico to recover the northern jaguar population in the U.S. and northern Mexico. * Have the recovery team develop a Jaguar Recovery Plan (confirming the Service’s January 2010 announcement). 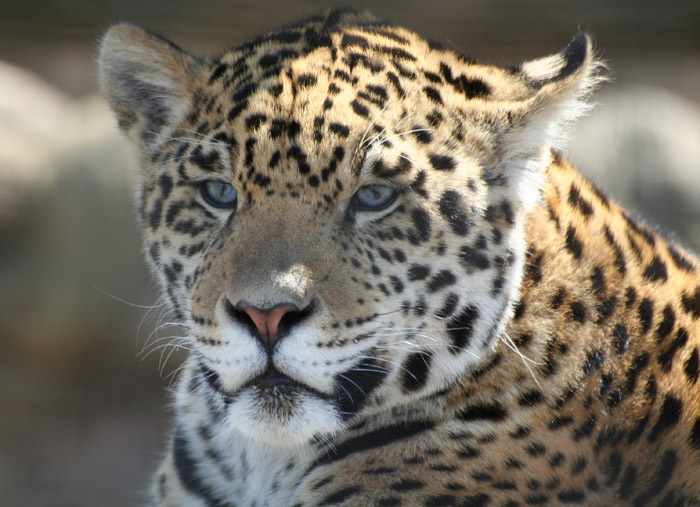 * Determine what areas in the U.S. “are appropriate to propose as critical habitat” for the jaguar, based on the best information available (see our recommendations). * The Service did not clarify whether it is fully committed to re-establishing the jaguar in a significant part of the its historic range in the U.S., which included the Southwest and Texas. * The Service did not give any timeframe for getting work done, saying only that “a proposed timeline for the critical habitat is undergoing review and approval by the Acting Director of the Service.” We’ve been asking the agency to move with utmost urgency in developing and implementing a jaguar recovery program, which is 13 years overdue (Citizens’ Statement Point #6). Despite our Earth Day request, the Service did not give target dates for assembling a jaguar recovery team, recovery plan development, or beginning work to protect essential jaguar habitat. * The Service was for the most part silent on key Citizens’ Statement recommendations, including the need to protect core habitat areas and connecting habitat linkages. There was no sense of urgency in the Service’s reply, despite severe and increasing threats to jaguar habitat from urban sprawl, energy development projects, large-scale surface mining, and border fence construction. We need to be sure that the US Fish & Wildlife Service moves forward promptly with a genuine recovery program for the jaguar. A healthy dose of skepticism at this point is justified given the agency’s past failures to undertake jaguar recovery, and considering that some key agency officials who once opposed a jaguar program are still in charge of decision-making. 1) Recovery efforts in the U.S. cover a significant portion of the jaguar’s historic range, not just a limited area along the border as one Service official recently suggested. The endangered northern jaguar (currently with only 120 or so individuals in nearby Sonora, Mexico, and few in the U.S.) cannot be recovered as a wholesome wild population without reoccupying former range in Arizona and New Mexico. 2) The forthcoming recovery team consists of scientists and other “implementing partners” who are fully committed to the concept of jaguar recovery in the U.S. Given its awful track record (failure to live up to promises, the Macho B fiasco, etc. ), the Arizona Game and Fish Department is not yet committed. Unless it declares support for jaguar recovery and provides new leadership, the state agency should not be on the recovery team (we are concerned since the Service’s reply to us was copied to an individual in the AGFD who has consistently opposed key steps for jaguar recovery in the U.S.). 3) A time frame for jaguar recovery actions is established soon. Unless pushed, Service may fail to make jaguar recovery a priority, and thus the jaguar runs the risk of waiting years before a program is implemented, while its precious habitat continues to disappear. The US Fish and Wildlife Service in Washington DC is about to decide whether to begin a program to restore the jaguar within its former range in the United States. Please request that it does so. An example of a brief email is shown below. Please begin a recovery program promptly to restore the jaguar to the United States. Historically, jaguars occurred in California, Arizona, New Mexico, and Texas, with records as far east as Virginia. Kindly notify me as to your decision.